Twisted between feet and hip and upper body, the knee is asked to compensate for a.) every step in a shoe and on a surface that distorts normal movement and for b.) every tension and stress in the torso, pelvis and hip that distorts normal thigh movement. 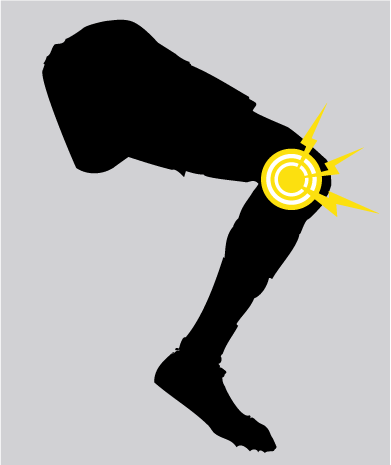 Once again, while the knee is often where people feel the brunt of the pain and problem, removing the cause of the problem, the shoe that distorts, the bones out of place in the spine and/or pelvis that are causing the stress on the knee is the quickest and surest way to remove the cause of the problem. By removing the cause, the problem is handled.